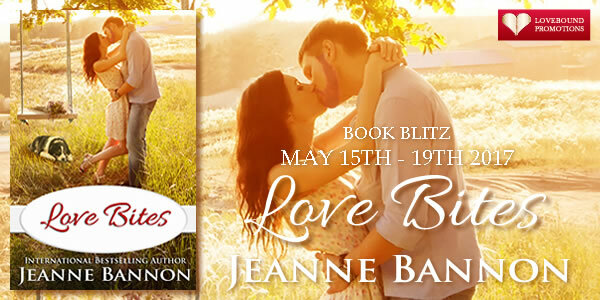 Love Bites by Jeanne Bannon. Audience/Genre: Sweet, Contemporary, Adult, Novella. From international best-selling author, Jeanne Bannon, comes the story of Jack O’Hurley, a man who's protected his broken heart by running away and refusing to open himself to love. After years of hiding behind any excuse not to let his walls down, he can’t help but be intrigued when he meets the most unusual woman he’s ever set eyes on. Star is certainly not what he’s been looking for but she just might be what he needs. As Jack begins to fall in love with the eccentric Star, another woman vies for his attention. Torn between the two very different but equally alluring ladies, he puts into play his tried and true system for determining whether he will continue to date a woman — introducing each to his dog, Phil. Crazy as it may seem, Jack trusts Phil’s instincts more than he does his own. The only problem is that none have yet to pass the Phil Test. It's a cute, short and a little quirky book! Jack was left at the alter 5 years ago. He is not so trusting anymore. Phil (short for Phillipa), his dog, doesn't like any woman Jack meets. So since Jack isn't trusting he lets Phil decide if she is the one. Phil's haunches go up and she growls at any woman she doesn't like. And it's fine with Jack. Then this hippie looking woman comes right up to him one day and tells him that her psychic said he was the one she was going to marry. Well, just like anyone would do, he thought she was a little wacko! But Phil strangely loves her. So, Jack tries. Star fits his type of woman. But she is into all the tarot card reading and midnight dinners to visit with your dead loved ones. He likes her and lets it go but still is hesitant. When he meets another girl who attracts him and he is surprised by it even though Phil clearly dislikes her, he tries to just go with it and takes her out on a date. But Star runs into them! Jack needs to figure out what he wants and quick! 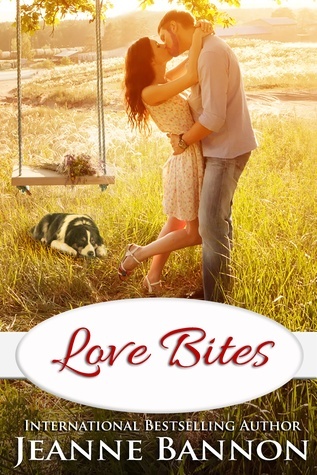 A quirky girl or a beautiful city woman who dislikes his dog and whose dog dislikes him. It would seem like a no brainer but even I had a hard time. Her quirkiness is just not what I would like. I had a little hard time with her. She is very loveable! But just too out there for me for me to really connect to. If you like quirky, short reads, tarot cards, dumb suppers, construction, boat rides, art, dogs, and finding your own happiness than this is it for you! Jack noticed the fur on Phil’s back stand on end and then it came, the low growl and bared teeth he’d expected. Though Phil would never bite, those who didn’t know her were sure to be petrified by this display. Denise just failed what Jack liked to call “The Phil Test” as so many other women had before her. “She won’t bite. She just doesn’t like you,” Jack said, then turned to Phil, pulling her by the collar a few feet down the entranceway hall. “Go on now. Go to bed, Phil.” He pointed the way, but the dog didn’t move. Her eyes were trained on Denise. She lifted her head and smelled the air, her fur still at attention. Then the dog sneezed and shook her head. “I don’t think she likes your perfume,” Jack said. “Think we’d better call it a night. This isn’t going to work out.” He opened the door and without a word, Denise fled, fishing her car keys out of her purse as she made her way down his walkway. Denise was the sixth woman this month alone Phil had sent packing. Jack flipped on the outside light and watched as she got in her car and hoped she wouldn’t drive too fast and end up nose first in one of the dips along the laneway. Once she was out of sight, he locked the door, made his way to the living room, and plopped into his easy chair beside Phil’s bed. Phil turned in a circle and plopped into her own spot, nudging the duvet until it covered her. Jeanne is giving away PDF copies of three of her books: Love Bites, Lost and Found, and Nowhere to Run. For your chance to win, simply enter via the Rafflecopter below. The contest closes at midnight EST on May 27, 2017, and is open to entrants worldwide. 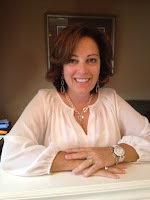 Jeanne Bannon is an internationally best-selling and award-winning author and editor. She lives in Caledon, Ontario, Canada with her husband and two daughters. Sounds cute! I'm a dog lover and like the idea of the dog making his decision. Dogs are a good judge of people. Lol Great post!